There are many potential causes of façade leaks. Many have to do with air barrier product selection, improper installation and missed connections, resulting in gaps or voids in the enclosure. 1. Climate and weather – What impact will rain or humidity have on the product and the substrate to which it will be applied? If left exposed for an extended period, is the product sufficiently UV resistant? What are low- and high-temperature application limitations? 2. Durability – Will the product withstand physical abuse and resist damage from trades and other causes on the job? Will it require temporary coverings if it cannot be concealed and protected by permanent construction within a certain period of time after installation? 3. Fire performance – What are the fire resistance or performance requirements of the project and how are they evaluated or measured? If NFPA 285 tested performance is required, be aware that NFPA 285 is a full wall assembly test – versus ASTM E84, which is a material test for surface burning characteristics. Materials may behave differently when tested on their own compared to being tested in an assembly. 4. Membrane thickness – Consider your product’s minimum and maximum thickness requirements and your substrate characteristics. Field-applying a fluid membrane can lead to significant variances that may affect performance. A membrane that is very thin, for example, may not be able to get into the nooks and crannies on a porous substrate to provide a continuous film. 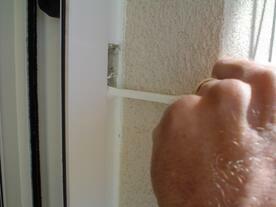 A membrane that is too thick can affect permeability as well as installation of other components such as insulation. Ask the manufacturer what testing has been done at each of those thicknesses to ensure performance. 5. Effects of façade anchors – What types of anchors will be used and how will they affect the air barrier’s ability to remain air and watertight? Will additional sealing or detailing with sealant or a peel-and-stick transition product be required to avoid compromising the system? 6. Compatibility – What is the chemical composition of products that may be in contact with each other? What types of overlaps may occur, and what tests have been done to ensure that they will perform well with no compatibility issues? Materials are considered “compatible” if there are no adverse chemical interactions (such as failure to cure) when they are near each other. Pre-applied systems and manufacturers that offer a variety of accessories should have relevant test data readily available to validate compatibility. 7. Adhesion – Adjacent materials may be chemically compatible but have poor adhesion. For example, a polyurethane sealant or coating applied over a silicone sealant will not adhere to the silicone, though the materials may be “compatible.” Both adhesion and compatibility are important and should be confirmed through testing prior to the job start. 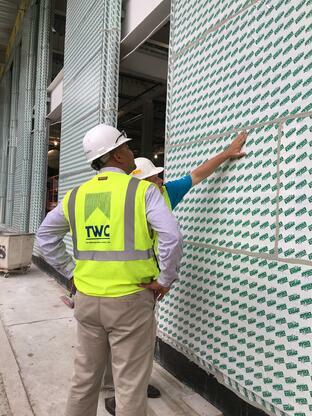 Fluid-applied, self-adhered, and factory-applied air barrier technologies can all perform well assuming proper wall design and validation of the elements of the system ahead of time. For the specifier, it’s important to understand sequencing, compatibility, adhesion, and all the limitations that can be affected by installation. A variety of tests should be done to validate performance of any system prior to application. The test results and methodology should be part of the specification for the air barrier including performance validation of all adjacent systems and accessories such as balcony coatings, sealants, primers and flashings. 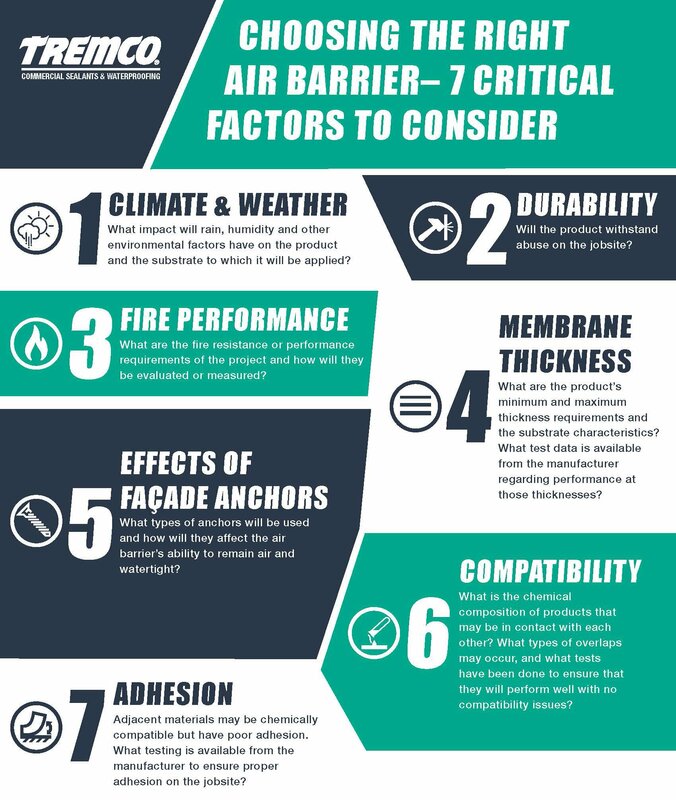 For more information on air barrier performance and selection, contact Marcy Tyler, Technical Marketing Manager – Facades, at (216) 905-7753 or mtyler@tremcoinc.com. 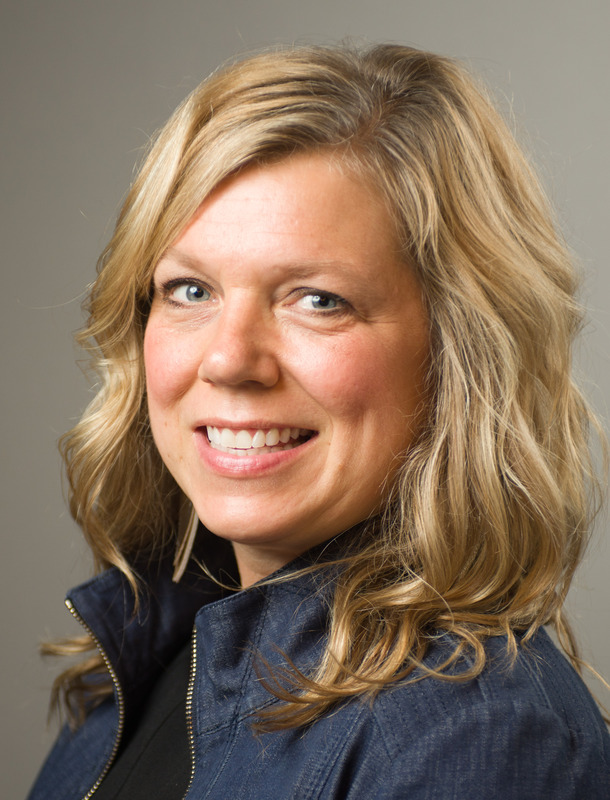 Marcy Tyler has worked in the commercial construction market for more than 15 years. She is currently the Technical Marketing Manager for Facades at Tremco Commercial Sealants & Waterproofing. In her current role, Marcy is heavily involved in the strategic development and education of the product and systems that make the critical connections and stop the uncontrolled flow of air within the building facade.